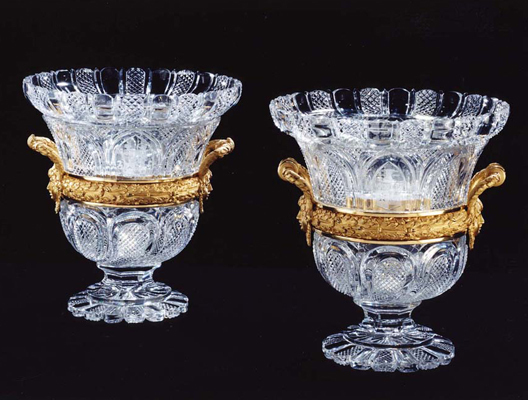 Two ice pails executed in cut glass and still retaining their original ormolu and mercury fire gilding. 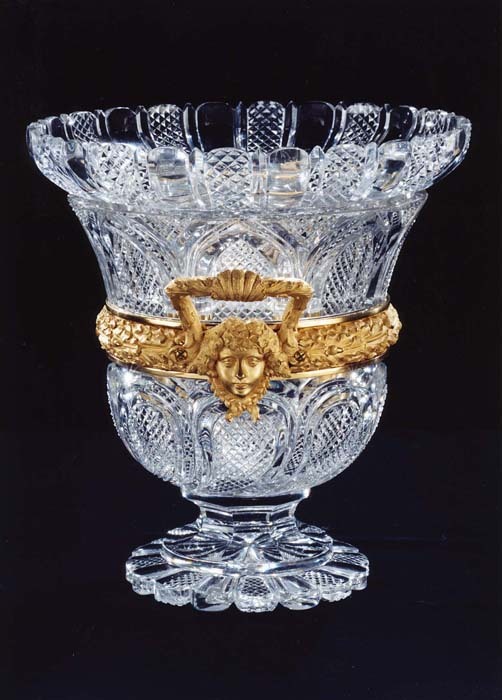 their quality would point to them being made on special order by the glass firm of Blades, 5 Ludgate Hill, London. 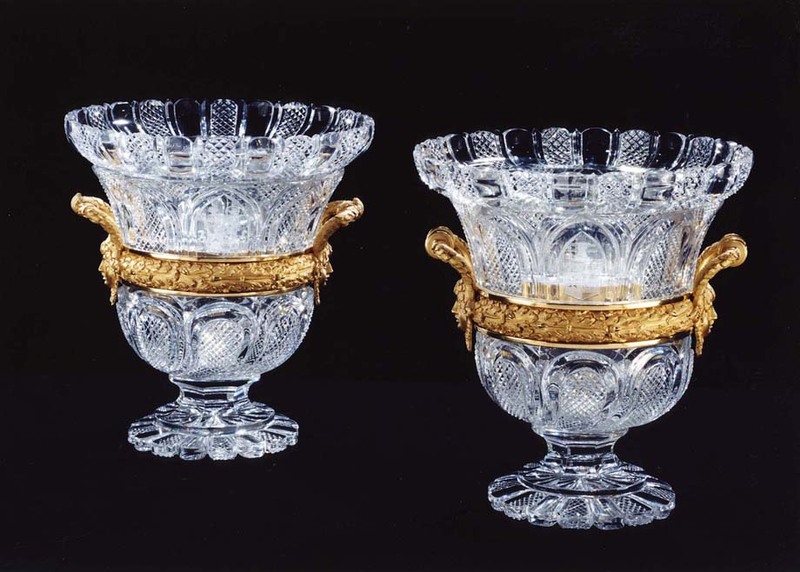 Blades produced the finest glass objects of this period furnishing glass and chandeliers for use at Buckingham Palace. 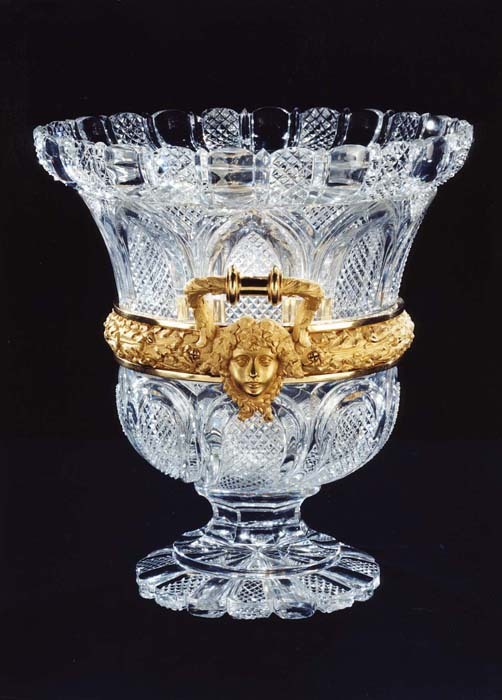 These ice pails were ordered for two different families and have the distinction of bearing their coats of arms. "William Forbes-Stewart, merchant of the City of London and Hobson of Spalding, Lincolnshire, a family of drapery merchants." We may suppose that since they are both so unusual, and up to this point in time, appear to be the only known surviving examples, that they may well have been commissioned as presentation pieces. They differ slightly in size and in the detail of their handles, and both have removable liners. Height 10 3/8in (26.5cm). Diameter 9 7/8in (25cm).